Keeping it real by keeping it local now that’s an ASSET! In 2010, the national take-over of a locally run construction hire company sparked an idea in local business owners Peter and Darrell Leemhuis, and Asset Construction Hire (ACH) was formed. Born and bred in Canberra, Peter and Darrell recognised the benefits of dealing with a local company who understood their business requirements, the construction industry, and the trust built by dealing with the same faces. They successfully established a strong and independent elevated work platform hire company, employing skilled staff who could offer a wealth of experience across a vast range of industry knowledge. “I believe the client shouldn’t have to problem solve, that’s our job and I now have the team and equipment at Asset Construction Hire that can deliver on all accounts,” says Darrell. 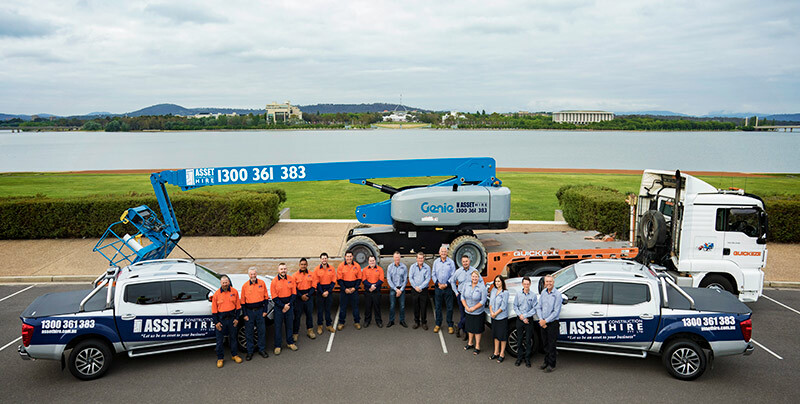 Asset Construction Hire has now served the construction industry in Canberra and its surrounding regions for over 7 years. We have grown to include 450 elevated work platforms across all product divisions. We pride ourselves on industry experience and a customer-focused “can do” attitude. Our vision provides clients superior equipment and support, and also the backing of a dedicated team of sales, mechanics, administrative and operational staff. Our customers come first. We make your project easier and help you every step of the way with friendly and approachable staff. We offer dedicated and experienced Account Managers, on call 24/7. Our strong understanding of your needs and challenges are backed by a team who will work beyond expectations to solve problems, offer solutions and deliver the very best service. Free site inspections, ensuring equipment is selected to match the needs of your project. On-site mechanical servicing and support, making us proactive in keeping your deadlines met. Our assets are always kept in good working order, complete with full and detailed equipment maintenance and repair schedules. Efficiency and accuracy are paramount. Our administration team is focused on resolving invoicing queries and will respond quickly when adjustments or clarification are required. We offer flexibility, and the unique ability to purchase special equipment to suit your requirements.